Nigeriaâ€™s non-oil revenue, at N259.93 billion of total revenue in October, was below both the 2018 monthly budget estimate of N466.91 billion and the N354.38 billion received in September 2018 by 44.3 per cent and 26.7 per cent, respectively. 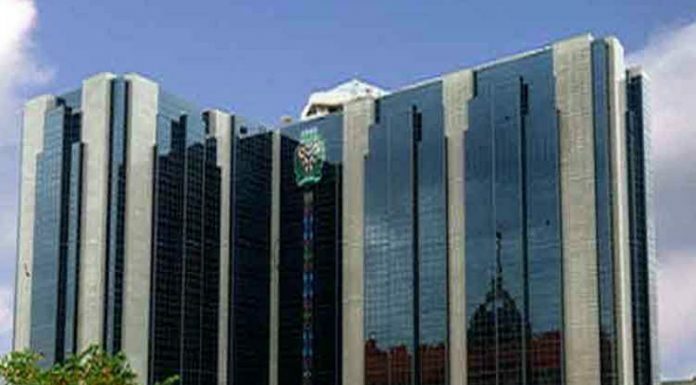 The Central Bank of Nigeria (CBN) disclosed this in its 2018 economic report for October 2018. The report showed that the estimated federally-collected revenue (gross), at N682.06 billion, in October 2018 was below the 2018 monthly budget estimate of N1,107.12 billion and the N831.45 billion collected in the preceding month by 38.4 per cent and 18.0 per cent, respectively. The shortfall relative to the monthly budget estimate was attributed to lower revenue from both oil and non-oil sources. It also showed that oil receipts, at N422.13 billion or 61.9 per cent of total revenue, was below the monthly budget estimate of N640.21 billion by 34.1 per cent. It was also a decline of 11.5 per cent below the preceding monthâ€™s receipt of N477.06 billion. The shortfall in oil revenue relative to the monthly budget estimate was attributed to the drop in the average price of crude oil and declining production arising from the shutdown pipelines. Of the total federally-collected revenue (net), N652.97 billion was retained in the Federation Account after statutory deductions. Out of this, the sums of N75.99 billion, N3.76 billion and N20.75 billion were transferred to the VAT Pool Account, the federal government independent revenue and â€˜Others,â€™ respectively, leaving a balance of N552.47 billion to be distributed to the three tiers of government and 13 per cent derivation fund. Of this amount, in the month under review, the federal government received N263.35 billion, while the state and local governments got N133.58 billion and N102.98 billion, respectively. The balance of N52.56 billion was shared among the oil producing states as 13 per cent Derivation Fund. Similarly, from the N75.99 billion transferred to the VAT Pool Account, the Federal Government received N11.40 billion, while the state and local governments received N37.99 billion and N26.60 billion, respectively. Of this amount, the federal, state and local governments received N0.13 billion, N0.06 billion and N0.05 billion, respectively, while the 13 per cent Derivation Fund received N0.03 billion. â€œOverall, total allocation to the three tiers of government in October 2018 amounted to N633.14 billion,â€ it stated. Of what importance has it been even when it hasn't dropped?